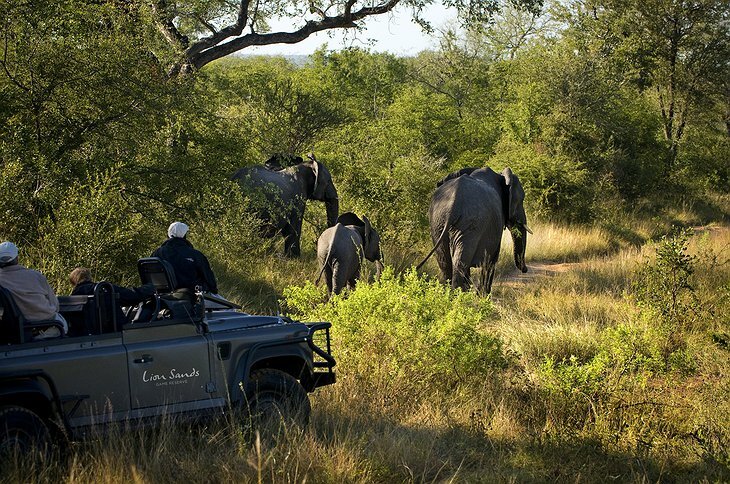 Kruger National Park in South Africa is home to the Lion Sands Game Reserve. 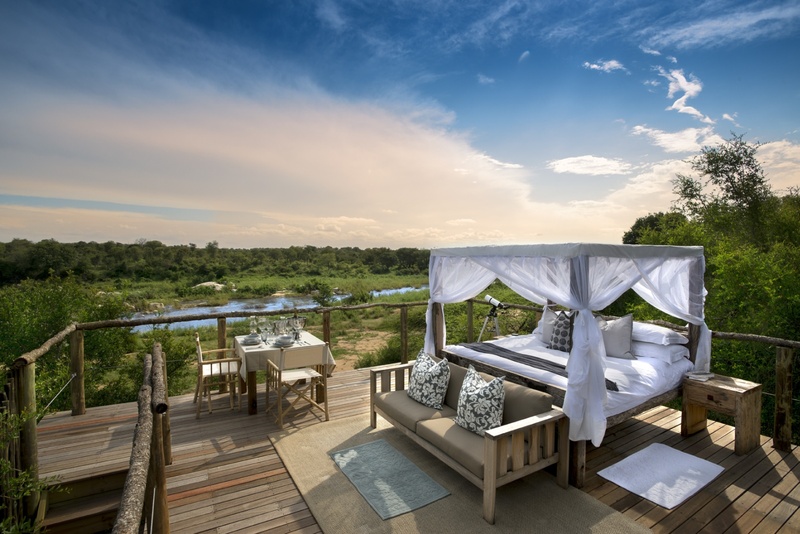 This property offers traditional hotel style suites at the Ivory Lodge which is fully equipped with modern amenities and luxury. 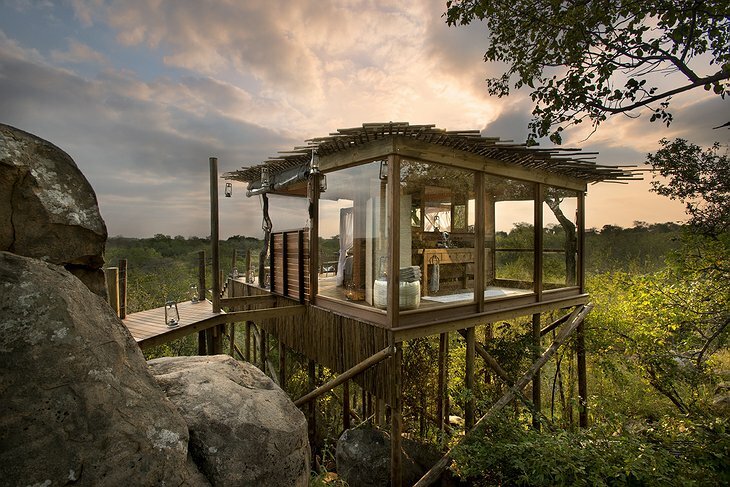 If you are looking for a more natural and unique experience, however, what you really want is one of their treehouses. 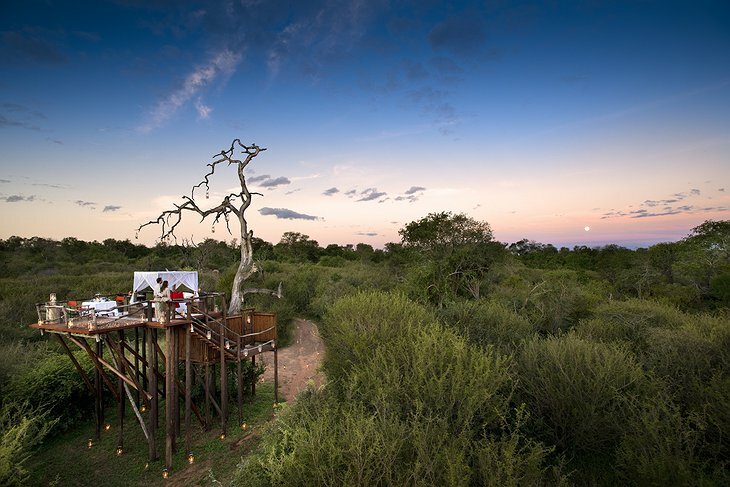 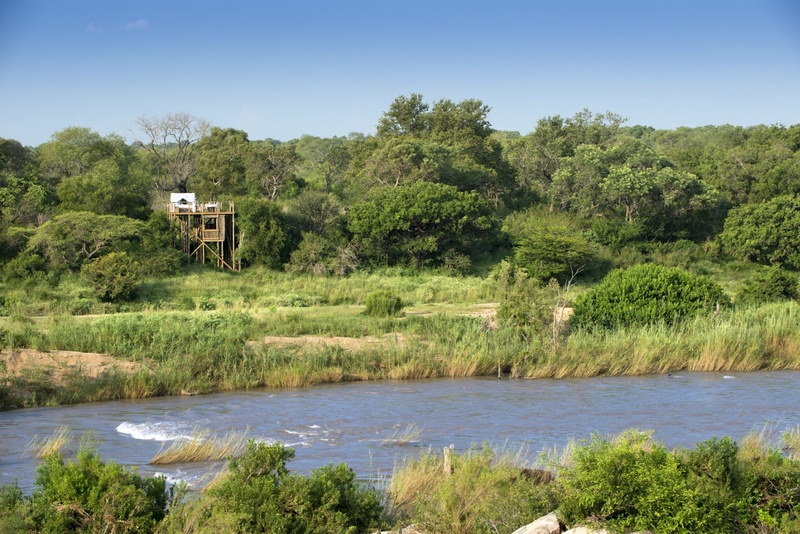 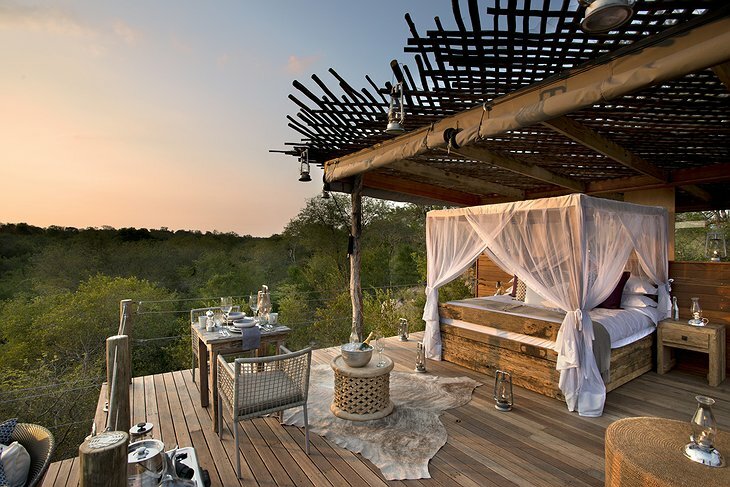 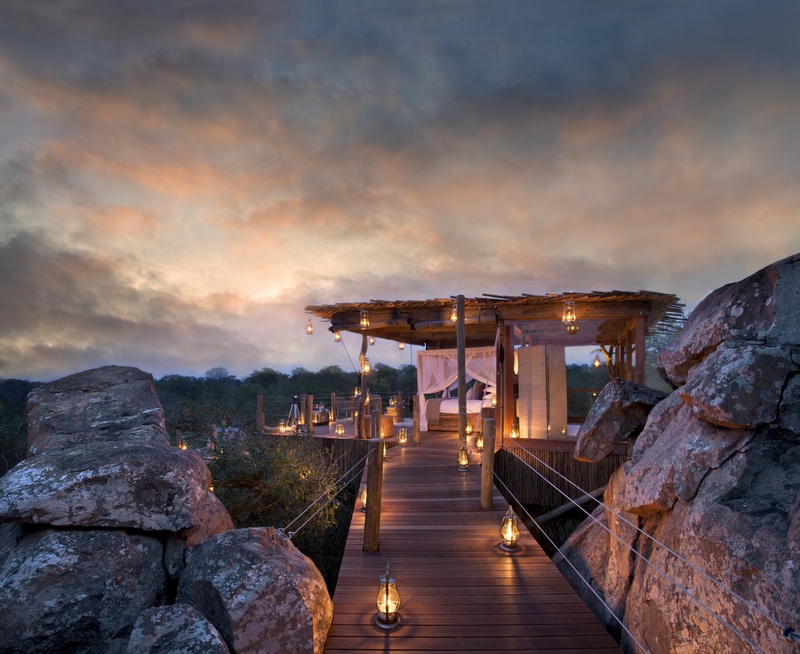 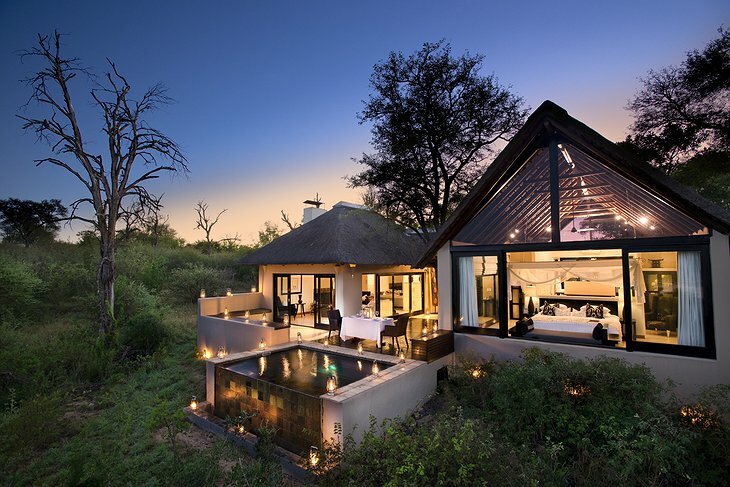 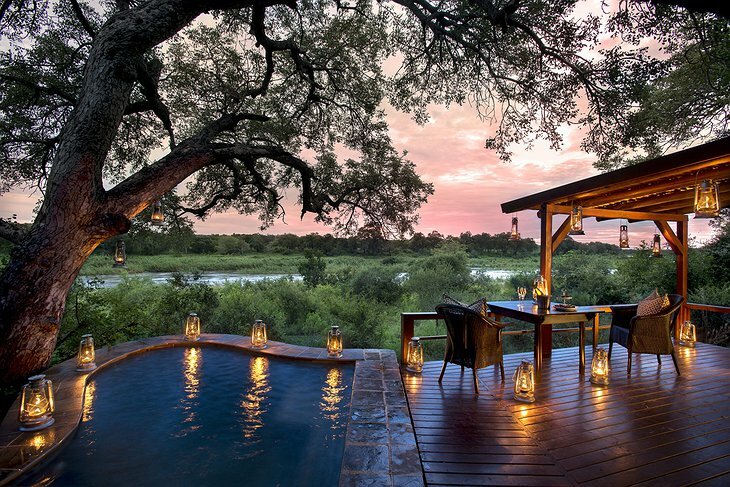 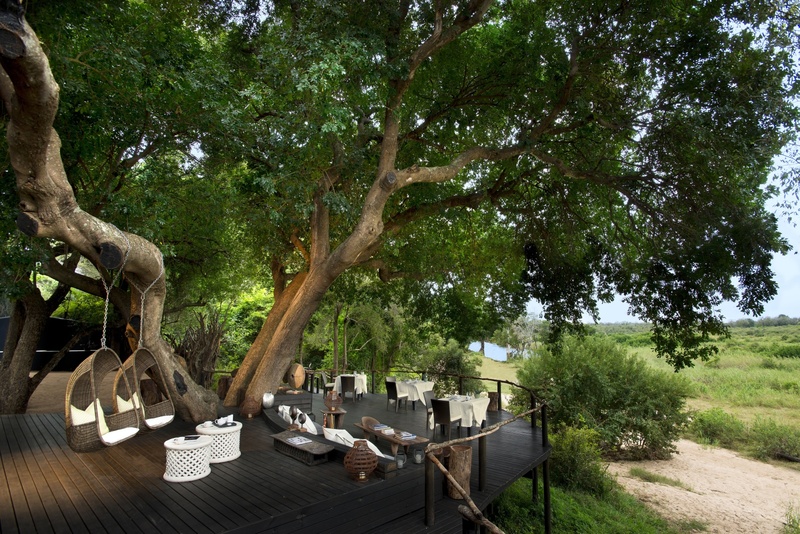 Lion Sands offers three treehouses that range from 1.6-4.7 kilometers away from the main lodge. 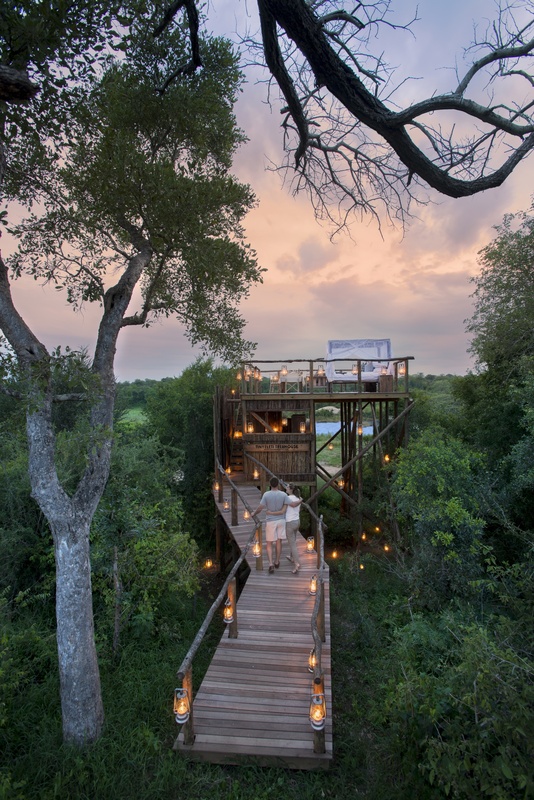 The treehouses offer a back to nature experience with massive decks ranging from 40-60 square meters. There is no electricity and no immediate neighbors which means complete privacy and magnificent stargazing opportunities. 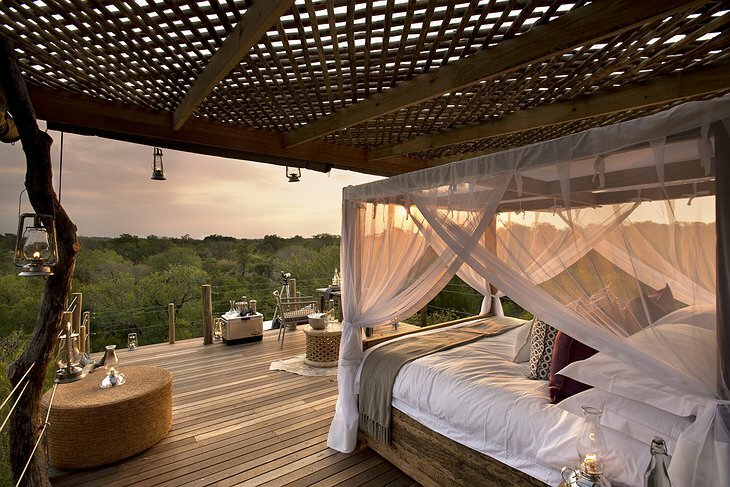 The night sky is lights up with more stars than you could count in ten lifetimes. Lion Sands will provide you with transfers to and from Skukuza airport and offer guests two daily game drives and many other wildlife activities. 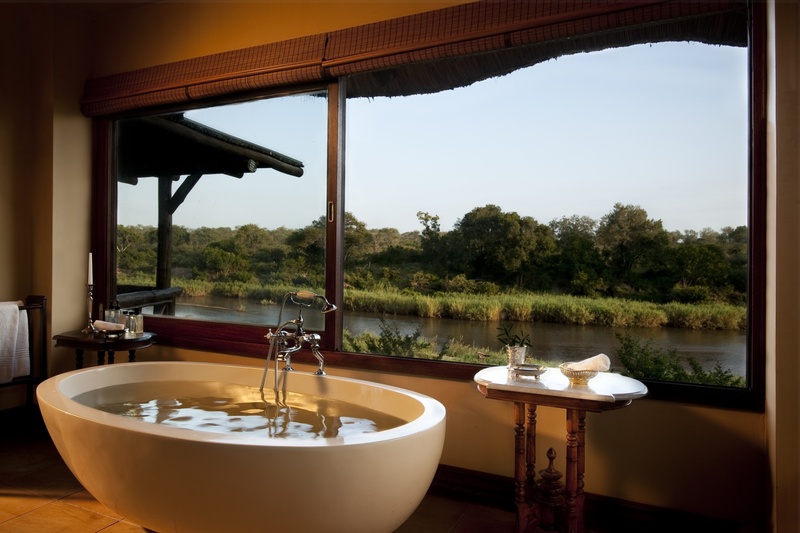 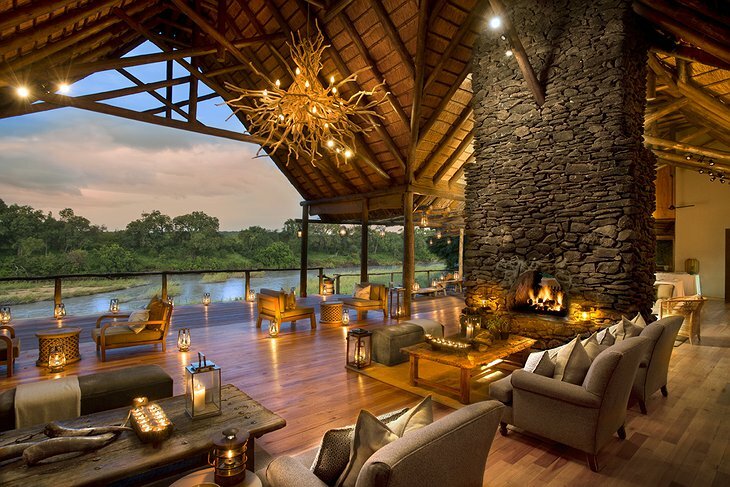 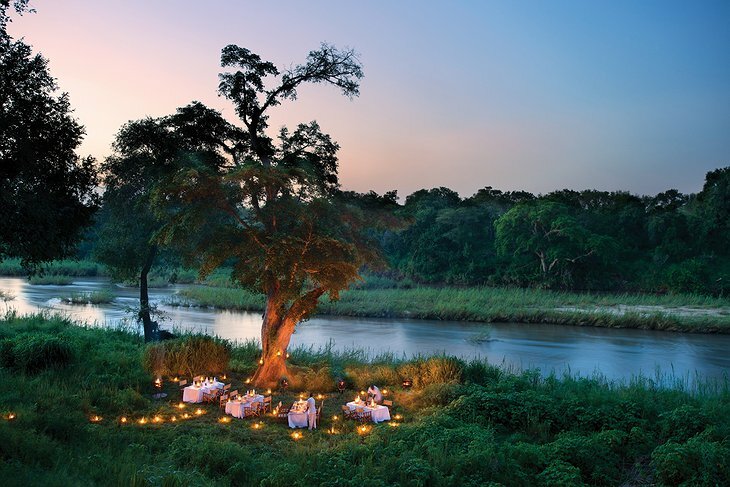 These activities and the setting of the lodge and treehouses almost guarantee that you will get to see all sorts of wildlife including giraffes, wildebeests, impala, zebras, and most importantly, the African savannah’s Big Five: lions, leopards, elephants, Cape buffalo, and black rhino. 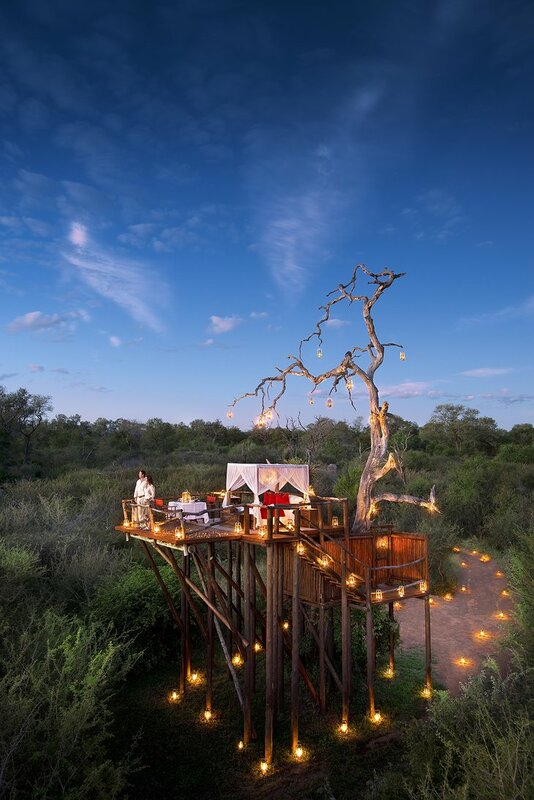 Abercrombie & Kent: Luxury Travel, River Lodge Experience, South Africa from Abercrombie & Kent on Vimeo.